Madrid, Spain is immediately, indelibly stamped into the visitor's heart after walking down its sometimes chaotic, winding streets, and tasting Spanish wines and delicious tapas from the countless little bars and restaurants. Above you are endless balconies with flower pots reaching up to a cloudless, Velázquez sky. A few more steps and you hear guitar music from around the corner. Unusual voices fill your ears. You are in Madrid!! 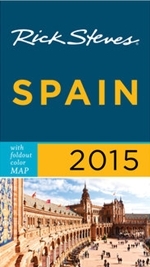 - Spain's capital of music & romance, art & culture, energy & excitement, food & family. You'll never want to leave. But if you do, you'll quickly be planning your NEXT visit. 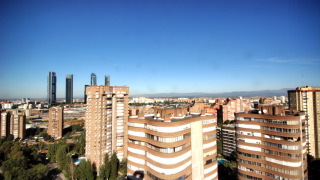 At MadridMan.com you'll find useful, insightful information if you're planning a trip to Madrid or other cities in Spain. If you've been to Madrid before, you can appreciate my attraction - which is why I decided to move to Madrid permanently. The people are special, the food is delicious, and the history and culture is second to none in the world. Become a pre-trip traveler through my website, watch live Spanish television and listen to the live radio stations from Madrid, admire the many Madrid & Spain photos, and be sure to visit the MadridMan's ALL SPAIN Message Board, packed with more than 15-years of questions and answers. When you least expect it, you'll become a REAL madrileño!! There are countless Madrid lodging options for every type of traveler to Spain's capital. From 5-Star Luxury Hotels to Youth Hostels, from family holiday apartments to hostales, and everything in between, MadridMan.com shows it all. The message board has first-personal reviews about many of them and discounts can be found directly through the various links. Where should you stay? I always recommend the first-time visitor to stay somewhere in the Old downtown center of Madrid. This way, the most important and most historical things can be seen within a few short minutes on-foot. 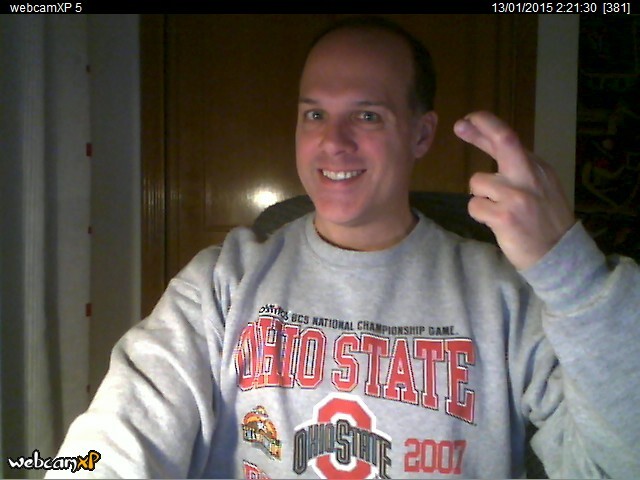 I am a "Madrid Maniac". And because I love Madrid, Spain so much, I created and dedicated a website to it in 1996, registered the domain name in 1997, and continue answering MANY emails on the topic every week. If that wasn't enough, I moved to MADRID, SPAIN in 2005 because of my passion for this wonderful city. You could call me crazy and you would be partially correct, because I AM CRAZY FOR MADRID! I don't claim to be an expert on Madrid, but when you love it as much, I'm rapidly becoming one. The Spanish Siesta: Fact, Fiction - or Envy? Go ahead. Admit it. You wish you could take a long, refreshing nap in the middle of your workday, right? Sure you would. Who wouldn't? The fact is, most Spaniards would LOVE to have a long nap after lunch, too. But wait a minute. Didn't Spain invent the siesta? Don't all Spaniards take midday naps? Is that maybe why their country is on the verge of a total economic collapse? There are lots of myths floating around about the infamous Spanish Siesta. Instead of the word "myth", maybe a better word would be "misconception". Religious or just cultural, anxious spectators prepare for the 2014 Semana Santa Madrid Holy Week Processions - and everyone hopes the weather cooperates. The majority of onlookers of the seemingly countless Holy Week Processions in Madrid are people of faith, but many attend for the spectacle of slow-moving, flower-and-candle-covered, band-following floats of religious symbols like the Virgin Mary (of which there are countless) and Jesus Christ (sometimes on the Cross and other times laying down). Still others go just because everyone else is going. And finally, others refuse to attend on anti-religious grounds. To each his own, I say. Live and let live. If you're in an environment created by you, like your own house where you control everything, be happy as a hermit crab. But if you live outside in the real world, be prepared for things that rock your psychological boat, things that make you nauseous. Moving to another country can often make foreigners somewhat nauseous, perplexed, and oftentimes downright angry. Said another way, it's one thing to "go with the flow" and another thing to "make waves because you don't like the water". (huh?!?!) If you don't like the water, stay on the beach and watch others have fun - but then you have no right to complain just because you don't want to muss-up your fresh pedicure. 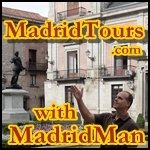 MadridMan®, an American expatriate and Spanish resident, offers 2 to 2.5-hour walking tours of Old Madrid via MadridTours.com. Discover the hidden corners of Madrid and learn of Spain's capital city's colorful and often bloody past. We'll visit Madrid's principal plazas and walk through its narrow, Old Town pedestrian streets. You'll learn of its Roman, Arab, & Christian roots as well as Madrid's current-day customs and lifestyle. I assure you, it's not all wine and siestas! They say Spain's annual Christmas Lottery is the richest in the world, distributing more than 2 Billion Euros, or 3 Billion U.S. Dollars, all taking place this coming Sunday, 22nd of December. TVE1 coverage starts at 8am and the whole lottery drawing process can last until 11:30am. While 2 Billion Euros are handed out, it's a very broad dispersment. The BIG prize, "El Gordo", will carry a grand prize of 4 Billion Euros - if you hold all 10-tickets in the series. Tickets are sold in "décimos", or "one-tenths", so if you bought just one of those 10-tickets in the series you'd walk away with just 400,000 Euros - before taxes. In many ways Spain is still a very quaint country, retains many old-world charms, and puts higher value on quality of life rather than the quantity of life or the size of your bank account. But this is sadly changing. The European Union, with support of the current Spanish government, has approved a measure to regulate OLIVE OIL, Spain's greatest and most lucrative product, by removing the self-serve pitchers at bars, cafés, and restaurants in favor of a pre-approved, labeled, pre-packaged product - effective 1 January 2014. Today at 6pm starts Madrid's 2013 Gay Pride Parade! The annual, blockbuster "Orgullo Gay" event is a Gay-Pride Celebration, attended by Gays & Straights alike, and one of the biggest in all of Europe and definitely the biggests in Spain. In a nutshell, the Gay Pride Parade is a big street party with lots of ab-ripped, sweaty guys on double-decker buses passing every 30-minutes, "regular looking" people marching down the street with banners, and about a million spectators trying to catch a glimpse of the parade, trying not to spill their beer, and trying not to need to use a toilet - because there are few-to-none.